Looking for a New Career in HVAC? We Have an Opportunity for You! MTech offers a 4-year combination of classes and working to give you a successful career path. We believe in growing our own from the ground up. We know college is a great option, but so it this one and it will be no cost to you! Our team is comprised of about 30 technicians and 5 managers. We have a great team that works well together and has a great culture. Our five company values are integrity, commitment, excellence, growth and fun! We live those every day. 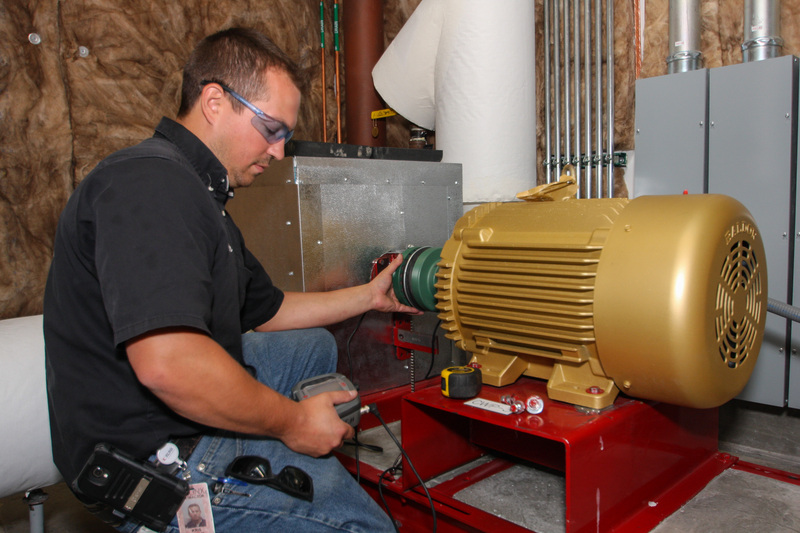 According to the BLS, 40,000 people will join our industry as HVAC technicians. Commercial and residential building construction will drive employment growth and we know that construction is booming here in Colorado! Heating, ventilation and air conditioning (HVAC) is the technology of indoor and vehicular environmental comfort. Its goal is to provide acceptable indoor air quality. HVAC system design is a subdiscipline of MECHANICAL engineering. During your first 4 years as an apprentice, you will be riding along and working with a senior service technician. 1-2 days per week you will be in class at MTech’s on-site training center. As an apprentice, you can expect to make between $13-20/hour starting out. However, after your training is complete, you could make up to $80,000! Would you like to Schedule a Ride Along with one of our HVAC Technicians? For More Information Submit Your Contact Details Below!